A-1 Bail Bonds has over 27 professional agents on call 24/7 that are ready to serve you throughout Michigan. There is no office visit necessary with us! We will dispatch one of our agents to meet you right at the jail. One stop bail bond shopping! Again, we want to make this as easy and convenient for you as possible. When you call us, we will call the jail for you and get the most up-to-date information for you. There are different types of bail bonds in Michigan and sometimes the jail may not have given you the detailed information needed to help you. We will also find out if there are any “holds” or additional warrants for the person in jail. It is important to verify what type of bond is set so you don’t have pay too much! We take the time to do this so you know exactly what the person is charged with and we verify so there will be no surprises when we meet with you to post the bond at the jail. Most bail agencies will not take the time to verify the information for you. We do. We realize that this is probably an entirely new experience for you and you may not understand what the different types of bonds mean to you. We’ll explain all of your options. We won’t simply quote you a price and hang up leaving you more confused! The vast majority of our bonds are approved with no collateral. We don’t require perfect credit either. The vast majority of people don’t have perfect credit so why do most bonding companies require great credit? Co-signers with decent jobs and Family members who feel confident that the person in jail will make all of their court dates is more important to us. As an industry leader in Michigan, Matthew Maddock, the owner of A-1 Bail Bonds, has held his company to the highest standards. Matthew is a Certified Bail Agent, a member of the Professional Bail Agents of the United States (www.pbus.com), the president of the Michigan Professional Bail Agents Association and has over twenty years experience as a bail agent. A-1 Bail Bonds will never compromise it’s integrity or jeopardize the trust our clients have with us. We know that our reputation is all we have. Our bail agents will always be dressed professional, they will always treat you with respect, they will never look down upon you because you have someone in jail, they will never think they are better than you and they will always be compassionate and sensitive to your needs. If you would like to know more about A-1 Bail Bonds, please give us a call and we would love to tell you more about who we are! OFFICE LOCATIONS: Always call first! We might be out posting bonds! 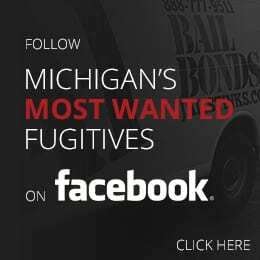 A-1 Bail Bonds services the following County Jails: Oakland, Macomb, Livingston, Washtenaw, Genesee, Branch, Wayne, St. Clair, Kent, Monroe, Lapeer, Kalamazoo, Cass, St. Joseph, Hillsdale, Calhoun, Eaton, Barry, Allegan, Ingham, Clinton, Ottawa, Muskegon, Saginaw, Gratiot, Midland, Grand Traverse, and Isabella. 29901 South Civic Center Blvd. PLEASE CALL (888) 777-9511 TO GET THEM OUT TODAY. A-1 Bail Bonds has licensed agents near every city, county, state and federal jail in Michigan. If you have an inmate in Wayne County, Macomb County, Washtenaw County, Livingston County, or ANY jail in Michigan, just call 888-777-9511.